A rescue helicopter has crashed near the world’s longest zipline in the UAE, killing its crew. 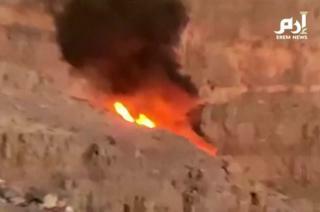 Video footage has emerged showing the helicopter in a tailspin and on fire on the mountainside. Local newspaper The National reports that it hit a cable before spiralling out of control.